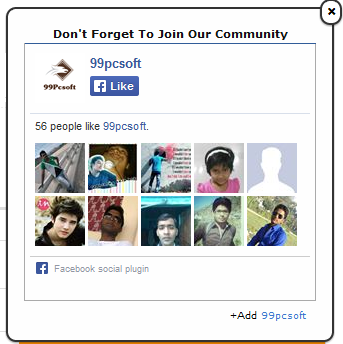 Hello Friends in this Post i am going to show you how You can add scrolling Facebook Pop-Up Like widget in your blog or website.This Facebook widget is Mostly used to get more likes for Blogs or Websites.This widget is specially designed with Pop-up Style,Scrolling effects with simple Format.so you Don,t need to work hard for adding this widget and don't need to know about HTML/java scripts.Let's start and this widget in your blog and increase your likes. Follow below steps. Step 4. Copy below code and Paste in HTML box.